As a poultry farmer, making sure your birds are well fed is a top priority, as they need to access quality chicken feed to maintain a balanced diet and improve productivity. Our hollow feeders offer novel feeding options with uniquely adapted ports for exclusive feeding and reduced feed wastage. The gravity-type hollow feeders are recommended standing use feeders for floor reared poultry chicks, pullets, and poults. They are indicated for flat-floored systems, thus are economical for small and medium scale farmers. It features hollowed lids to help prevent chicken feed squabbles and feed flicking. Its design helps the farmer monitor food levels to know when to refill as the feed trough is refilled automatically due to gravity action when the birds consume feed. 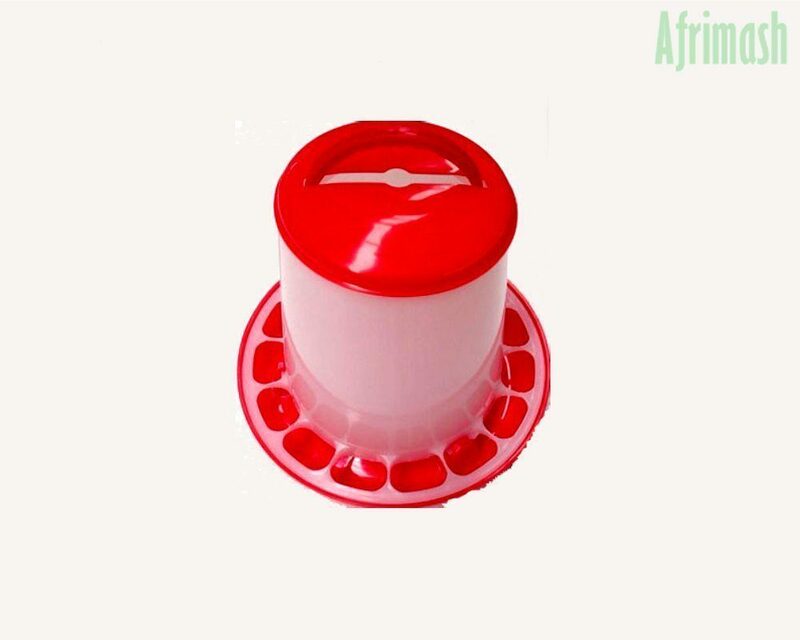 Lightweight and durable feeding drum/tray. Made from high-quality plastic – no rusting! It can resist high pressure.